Somerset Park is the venue this Saturday as the business end of the season approaches and we find ourselves still in with a chance of securing a play-off place, and with it the slim prospect of promotion is still within our own grasp. 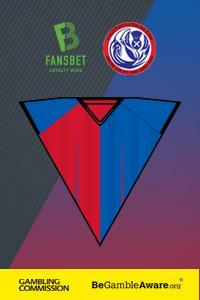 Last game before Hampden for Inverness, let's hope we can get through this without any further damage to our squad. Don't forget to buy your tickets for the Scottish Cup Semi-Final against Hearts. No tickets will be available on the day. It's been a frantic month with our stretched squad having had to cope with six games since the 3rd of March. These were mostly successful until it finally caught up with us on Tuesday night and lethargy set in as we went down 2-1 against Ross County and Nick Welsh. 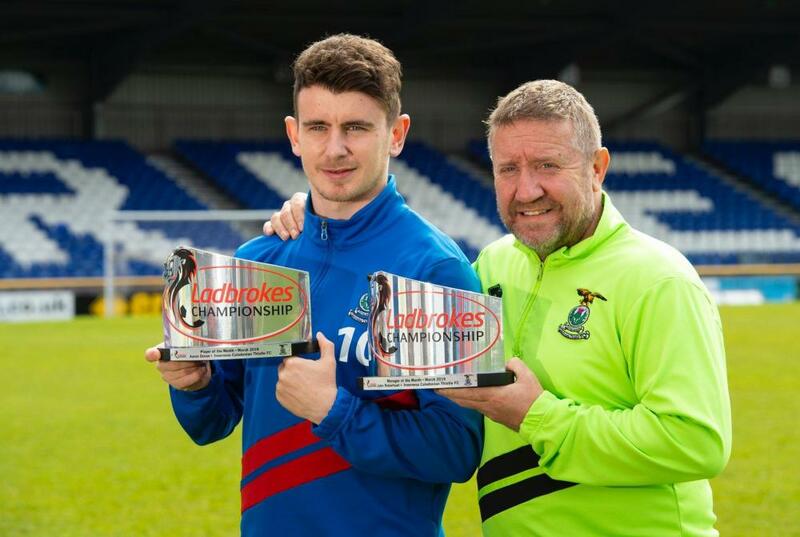 That success has brought the dreaded Manager of the Month & Player of the Month awards for March to Inverness with John Robertson and Aaron Doran being the recipients. Four wins and a draw saw the accolades head North. Doran waded in with 4 goals in March, including the vital winner in the Scottish Cup game at Tannadice. Well deserved if you ask me. Unfortunately the curse has already kicked in with defeat to Ross County in the derby. Despite that loss we are clinging on to fourth spot with Dunfermline the nearest challengers and realistically the only ones likely to make the effort. They have a game in hand over us and at the moment are six points adrift. Ayr have only one win in their last five whilst we have three. 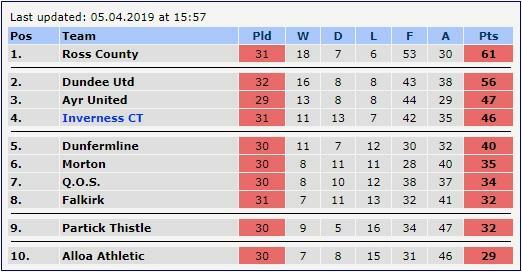 Second place looks to be out of our reach so it would appear that third or fourth are the targets and either of them would be sufficient to get us into the play-offs. The updated table is shown above after Friday nights draw in Dingwall. Other games on Saturday are Partick -V- Dunfermline, Falkirk -V- Alloa and Queens -V- Morton. As it was the sixth derby between the sides, stalemate was setting in, but County went at it right from the first whistle and deservedly went ahead when a Josh Mullin strike nestled in the bottom corner as we strolled around the pitch in training mode. We missed a penalty but Carl Tremarco drew us level off the bar with a header before Andy Boyle nodded in the winner before the break. Down to ten men just before the interval, we plodded on but to no avail although we minimised the damage and went down 2-1. A result that gives County a five point cushion going into their Friday night game with second placed United. It remained a five point gap after a 1-1 draw in Dingwall, County levelling well into time added on. Ayr took all three points as they dominated at Dunfermline last Friday thanks to a Declan McDaid goal but in midweek were held to a 1-1 draw by struggling Morton. A Shankland penalty had them ahead at the break but Greg Kiltie tapped in with twenty minutes to go for a share of the points. Our last visit to Ayr was an odd won. We raced into a three goal lead with three goals in a nine minute spell. By the 18th minute we were in the rare position of being three ahead and didn't know what to do with it. Ayr reshuffled at the break and the introduction of Shankland brought them instant reward, Declan McDaid reducing the deficit. Shankland reduced the lead further from a free kick late on. We held on and the goals from Nathan Austin (2) and Liam Polworth were good enough for all three points. 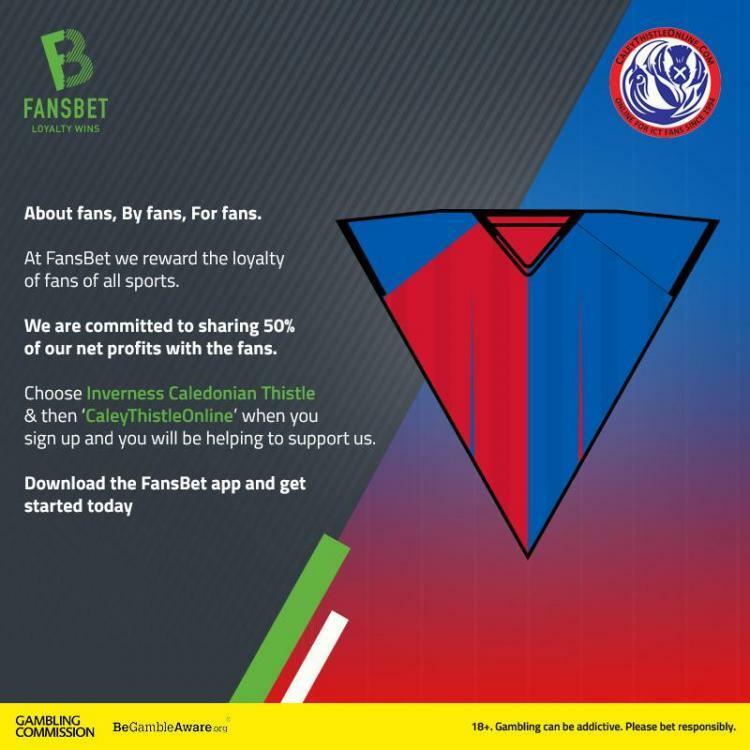 The other two games at Inverness were a 0-0 draw and a 1-0 win for Inverness, Jordan White scoring a second half goal in that one. 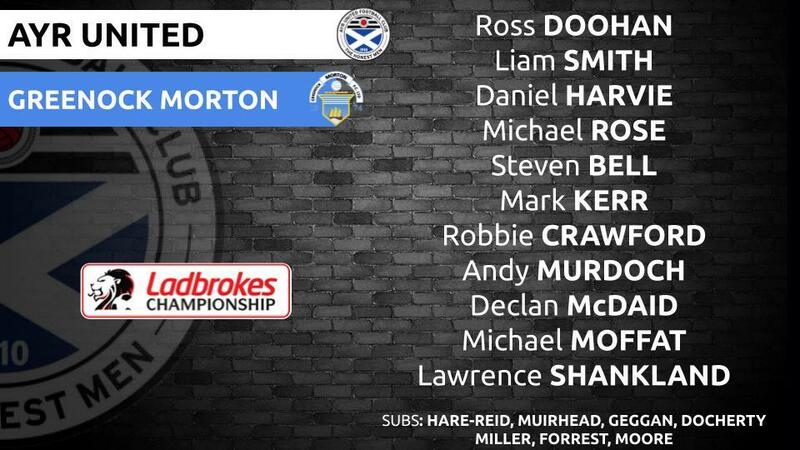 Ian McCall might ring the changes for this one after the disappointing draw with Morton. He has no injury worries ahead of this game. Here was his starting XI against the Ton. Ian said on the Ayr United official site: “Tuesday night was disappointing, we never really got going or played at the kind of tempo that makes us very dangerous. We were flat and probably in the end slightly fortunate to come away with a point. John Robertson will be without the suspended Charlie Trafford thanks to some refereeing ineptitude. Sean Welsh is a big miss in midfield and Jamie McCart took a heavy knock against County. 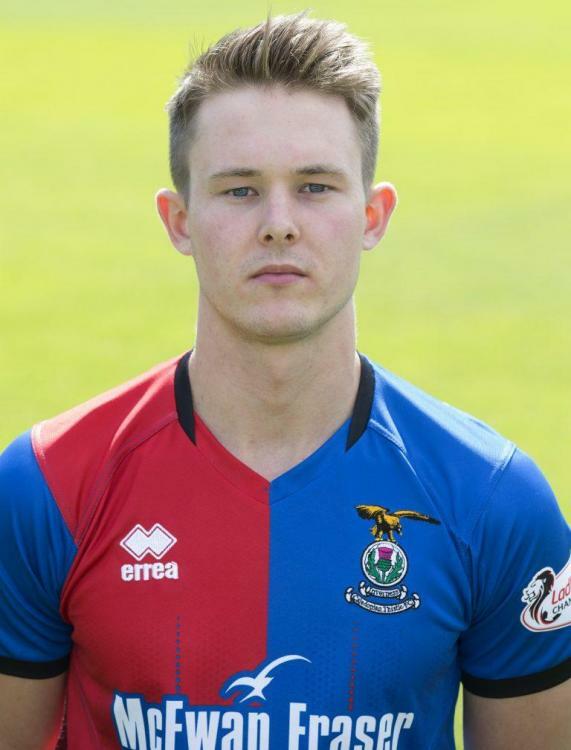 Some desperately sad news: Twenty-three year old Angus Beith has had to retire from football after being unable to recover from a hip injury. You can read the full story on the Official Site. I'm sure everyone at Caley Thistle Online wishes Angus all the best for the future, and success in whatever challenges he has ahead of him. Here's Angus scoring in his loan spell at Stranraer FC, thanks for the footage. “You think we are going through a difficult spell, with a hard season and struggling and fighting. “Here is a young lad with his future in front of him. “Regardless of where we are, we always have a Saturday to put right. “Unfortunately, he does not have that. “He was a fantastic player for us and was very, very respectful.